The Trinity Long Room Hub core team is always on hand to support and facilitate the Schools by providing advice, guidance and assistance around a broad range of research issues including managing and promoting research projects and events. 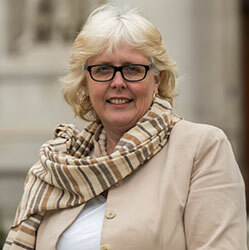 Professor Jane Ohlmeyer, MRIA, is Erasmus Smith's Professor of Modern History at Trinity College Dublin. She is Director of the Trinity Long Room Hub Arts and Humanities Research Institute and has been a pioneer in advocating for Trinity’s Arts and Humanities both nationally and internationally. Since 2015, she has been chair of the Irish Research Council, an agency that funds frontier research across all disciplines. She has recently led Trinity’s bid as part of a consortium of partners for the successful award of €1.5million for the project ‘Shape-ID’, ‘Shaping Interdisciplinary Practices in Europe’, funded by European Commission’s Horizon 2020 programme. She is the author or editor of numerous articles and 11 books, including being the editor of Volume 2 of The Cambridge History of Ireland, published in 2018, and launched by the President of Ireland Michael D. Higgins in Dublin, and by the former Vice-President Joe Biden in the United States. A passionate teacher and an internationally established scholar of early modern Irish history, Professor Ohlmeyer was the founding Head of the School of Histories and Humanities and Trinity’s first Vice-President for Global Relations (2011-14). She was a driving force behind the development of the Trinity Long Room Hub and the 1641 Depositions Project. She served as a Trustee of the National Library of Scotland and the Caledonian Research Foundation, was a member of the Council of the Royal Historical Society, President of the Irish Historical Society, and was a non-executive director of the Sunday Business Post. She is a Member of the Royal Irish Academy, of the Irish Manuscripts Commission and of a number of editorial boards. She has been invited to serve on the Consortium of Humanities Centres and Institute’s international advisory board from 2017 to 2020. 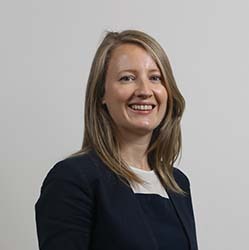 Professor Ruth Barton has been Deputy Director of the Trinity Long Room Hub since 2016 and provides important strategic and academic support to the Institute. Professor Barton is Associate Professor in Film Studies and Director of Research at Trinity’s School of Creative Arts. In her role as Deputy Director she succeeds Professor Brian Singleton, also from the School of Creative Arts and former convener of Trinity’s Creative Arts Practice research theme. Professor Barton is a graduate of Trinity College Dublin (BA Mod) and of University College Dublin (MA, Film Studies). She holds a PhD from the NUI (Thesis title: 'From History to Heritage: Representations of History and the Past in Contemporary Irish Cinema'). She is the author of several books on Irish cinema and has co-edited a volume of essays on Irish Cinema and Television as well as being the author of many articles on Irish and British cinema. Her interests include Irish cinema, stardom and diaspora studies. She is editor of a collection of essays on Irish-American film and television and on the Irish in Britain. She has also written a critical biography of the film star, Hedy Lamarr, and of the Irish silent director, Rex Ingram. She appears regularly on radio as a film historian and film critic. She joined the staff of TCD in September 2007. Caitriona joined the Trinity Long Room Hub as Institute Manager in 2012. She works closely with the Director on the development and implementation of the Institute’s strategic policies, programmes and initiatives. She is responsible for the financial management of the Institute, its governance and reporting, communications and public relations strategy, human resources and overall day to day operations. She is also Programme Manager of the Institute’s visiting fellowship programme (2017-20) co-funded by the European Commission’s Horizon 2020 Marie Sklodowska Curie Actions. 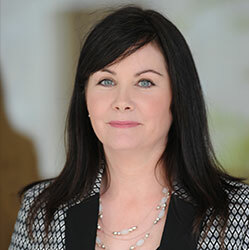 Prior to this role Caitriona worked directly with the Provost of the university, managing the diverse demands of this high profile office for 8 years as well as contributing to the development and support of key university initiatives such as strategic planning and the Creative Arts, Technologies and Cultures initiative. 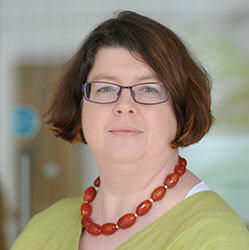 Maureen Burgess has been the research programme officer (RPO) in the Trinity Long Room Hub since autumn 2013. Her main role is to help staff affiliated to the Trinity Long Room Hub schools to identify and apply for competitive research funding. 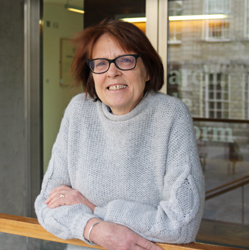 Before working in the Trinity Long Room Hub, Maureen worked in research funding administration roles in the Higher Education Authority (HEA) and the Irish Research Council for Humanities and Social Sciences (now the Irish Research Council). She holds a B Comm (European) with French from University College Cork and a Postgraduate Diploma in international business development from the Dublin Institute of Technology. Maureen can be contacted with queries regarding working with the Trinity Long Room Hub schools to access opportunities for research funding. Eva joined the Trinity Long Room Hub in March 2008 and is the Accounts and Projects Officer with responsibility for all financial and purchasing functions as well as supporting various research projects hosted at the Institute. In addition, she is integral to the administration of programmes such as the Research Incentive Scheme and the Visiting Research Fellowship Scheme. She serves on various administrative financial committees on campus and is the Purchase Order Administrator for part of the Faculty of Arts, Humanities and Social Sciences. Prior to the Trinity Long Room Hub Eva worked in Trinity’s School of Business, the University of Missouri in Columbia, and in the private sector. 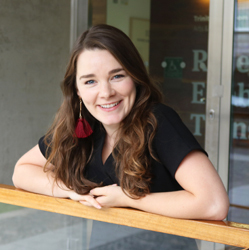 Aoife joined the Trinity Long Room Hub in October 2015 as Communications Officer and co-ordinator of the Consultations series. A graduate of Politics and International Relations from the University of Edinburgh, UCD and most recently in International Business from DIT, Aoife has previously worked with Tourism Ireland in Milan in a marketing role and prior to that in Irish public affairs, advising clients on parliamentary and legislative procedures, political communications and public policy. 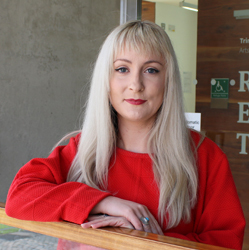 Aoife works with the Institute team to find new ways to bring the wide-ranging research taking place in Trinity's Arts and Humanities to a wider audience, through Institute reports, signature events, social media, news e-zines, written features for the website, videos and much more. Aoife also assists researchers with media relations around signature and co-sponsored events taking place in the Institute in conjunction with Trinity’s Communications office. Francesca joined the Trinity Long Room Hub in September 2017 as Events Promotions Officer. Francesca has BA in Fine Art and a MSc from TCD in Interactive Digital Media, she previously worked for the Irish Film and Television Awards(IFTA) as their multimedia manager. Francesca works with event’s organisers, researchers, fellows and Institute supported Themes and schools to promote their work and increase public engagement through the Institute website, weekly newsletters, social media channels, podcasts and live streaming of events. Sarah Kerr holds a PhD from Queen’s University Belfast. Her doctoral work, funded by DEL, explored the architecture and social context of late medieval lodging ranges in England and Wales. She held previously a Postdoctoral Research Fellow position at Katholieke Universiteit Leuven before joining the Trinity Long Room Hub as a Research Fellow and Project Officer in September 2017. Her research interests include medieval buildings, perception of architecture and communal living in Western Europe and her publications include work on Irish round towers, feudalism and lodging ranges of English castles. 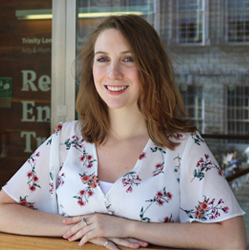 Sarah is the Project Officer for two of Trinity’s Arts and Humanities-led research themes, Identities in Transformation and Making Ireland. Sarah can be contacted with enquiries regarding funding, projects, communication and collaboration related to the themes. Angela Butler joined Trinity Long Room Hub in May 2018 as the Consortium of Humanities Centers and Institutes (CHCI) Research Project Officer. This role involves the development and coordination of two international research network projects being led by the Trinity Long Room Hub. The first project is the CHCI-Mellon Crises of Democracy Global Humanities Institute (GHI). As part of the GHI, Angela assists in the organisation of a number of planning meetings in Ireland, Croatia, and Brazil in addition to supporting the development of an international, cross-disciplinary summer institute for early career researchers, which will take place in July 2019 in Dubrovnik, on the subject of crises of democracy through the prism of cultural trauma. The second project is the CHCI 2019 Annual Meeting on the theme of "Cultural Interventions," which will take place at Trinity Long Room Hub, 19 - 23 June 2019. In April 2018, Angela submitted her PhD thesis to the Drama Department at Trinity College Dublin. 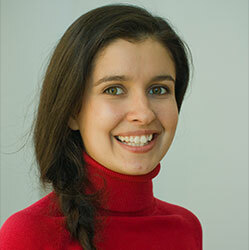 Her thesis focuses on immersive performance and digital culture. Angela’s research interests include immersive performance, digital/postdigital culture, live art, aesthetic experience, affect theory, and phenomenology. Angela can be contacted with queries regarding the CHCI-Mellon Crises of Democracy Global Humanities Institute and the CHCI 2019 Annual Meeting in Dublin. 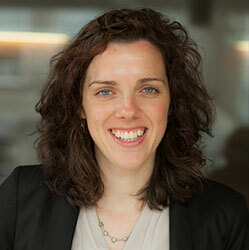 Emily holds a PhD in Digital Humanities from Trinity College Dublin. Her doctoral work was funded under PRLTI5 and analysed literary space and the ethics of artistic production in Roberto Bolaño’s final novel, 2666. Emily also holds an MPhil in Literatures of the Americas from the School of English, where she has been a TA and occasional lecturer since 2012. Emily initially joined the Hub community as a Graduate Fellow during her PhD and has been delighted to take a more active role in the institute’s operations this academic year. Emily can be contacted with enquiries about our extensive program of public humanities events and with queries about holding arts and humanities conferences, symposia, public lectures, workshops and other research events at Trinity Long Room Hub. Emily is currently on leave until 2019. Eve Cobain holds a PhD from Trinity College Dublin. Her doctoral work was funded by the Irish Research Council and examined the role of music within the poetry of John Berryman. Eve also completed an MA in Modern Poetry, funded by the AHRC, at Queen’s University Belfast. Her research interests include modern and contemporary poetry, American literature, and literary transatlanticism. Eve joined the Trinity Long Room Hub as an Early Career Research Fellow in 2015 and now provides administrative and research support to the Institute team and TLRH community.